Matt Kemp is checking items rapidly off his career bucket list. He has had an MVP-caliber season, even if the voters disagreed in 2011. He has gotten rich beyond anything he could have imagined as a kid back in small-town Oklahoma. He signed an eight-year, $160 million contract the same month Ryan Braun beat him out for the MVP by a handful of votes. He has lived the celebrity lifestyle. He couldn't stay off TMZ's radar a few years ago. He has played in four postseason series, been named to two All-Star teams and won two Gold Gloves. There is one box left unfilled: Lead a team to the World Series. For the Dodgers to become more than a traveling collection of pricey talent, Kemp, 28, might need to take command of the clubhouse, to be the stand-up, take-all-questions conscience after tough losses, to police the team for selfishness and lackadaisical play. He might have to keep things loose when they are starting to get tense. He might have to bring the team into focus when it's drifting. There's a lot riding on whether he can do it or not. 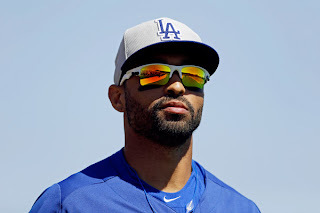 "I think I can get the best out of everybody," Kemp said earlier this spring. "I think I'll try." 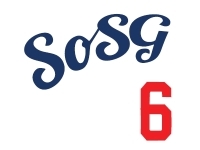 The Dodgers have other respected players. Jerry Hairston Jr. and Mark Ellis have more service time and have had more varied experiences in the game. Adrian Gonzalez, because he is perfectly bilingual, moves more freely between the two main subcultures of a clubhouse. But there is one overriding reason why Kemp needs to be the leader of this team. "He is our best player," Hairston said. "I don't think it's 'arguably.'" As Kemp does, the Dodgers figure to do. As Kemp goes, the Dodgers figure to go. Manager Don Mattingly recognizes that and has had a long-standing dialogue with him about how to comport himself around the team. "We've talked in general and I've given him my thoughts on great players, how they go about their business and how they play," Mattingly said. "Matt plays every day. He's got the respect of the guys in that clubhouse. That instantly makes him a leader. "He just has to recognize that he has an effect. That means if he doesn't come to play, it sends a bad message."